Our school community is united by four shared values statements: I belong; I want to know; I am responsible and I respect. These values give direction to what we teach both inside and outside the classroom. Students take responsibility for themselves and for others in the community by participating in activities ranging from progress report conferences with teachers and parents/caregivers to collecting food for the food bank. The school division celebrates and embraces multiculturalism and respects individual spiritual beliefs. Our Shared Values transcend our differences and provide an equal opportunity to recognize and encourage the unique characteristics and contributions of students, parents/caregivers and staff. Regina Public Schools employees make the difference in the lives and the futures of all of our students. A smile from a child, a “thank you” from a parent or a “great job!” from an employer or university recruiter is proof of how we are contributing to the Regina community. A true indicator of merit, however, is peer and community recognition. 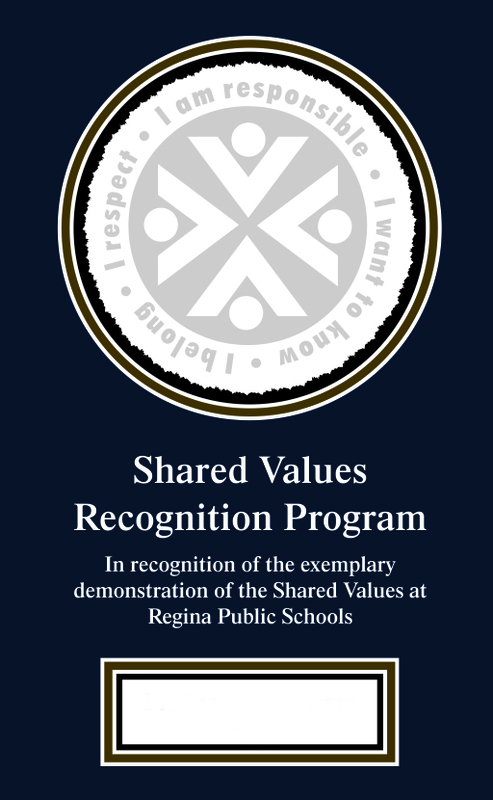 The Shared Values Recognition Program provides this recognition for all Regina Public Schools staff. 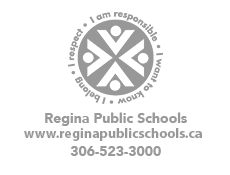 This program allows Regina Public Schools staff to recognize and honour employees who exemplify the Shared Values in making significant contributions through their work. As part of this program, up to 10 Regina Public School employees will be honoured at an end of year ceremony that will include their families. Parents/caregivers, students and anyone who volunteers at a Regina public school or works with Regina Public Schools staff is encouraged to submit a nomination. The nomination form and the program rules are available in the files below. This year's deadline is May 3, 2019.